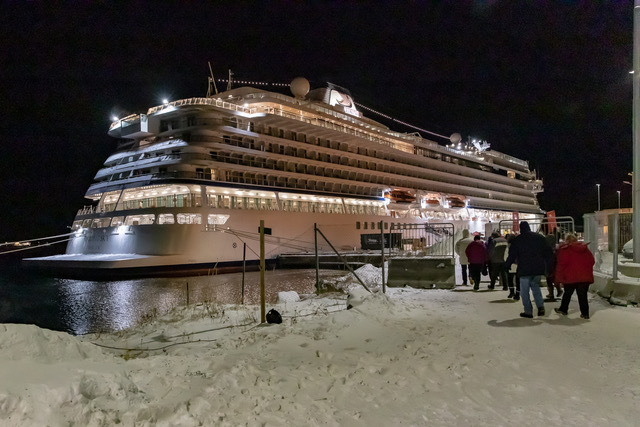 Steve Robinson and his wife Leslie went on a Northern Lights cruise in Norway, up to the arctic circle January 23 - February 8, 2019. 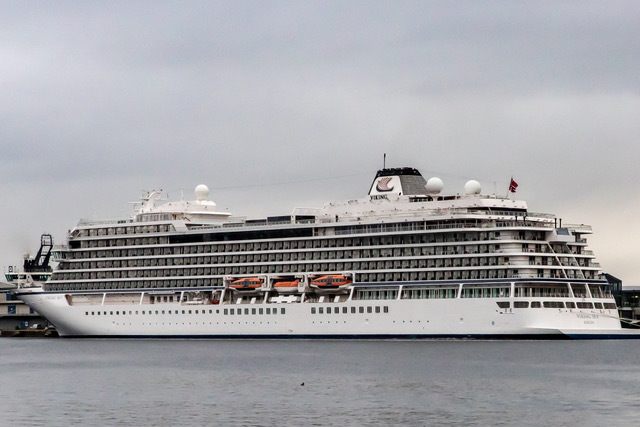 They were on the Viking Sky cruise ship. 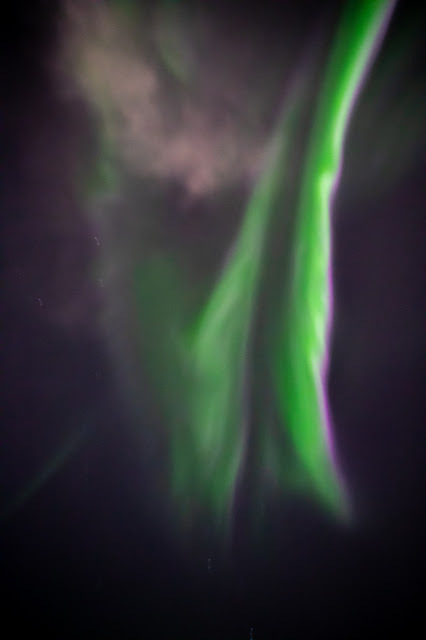 Steve came home with beautiful photos of the skies full of moving green light. On Saturday, March 23, 2019, that same ship on that same cruise nearly met with disaster. The engines malfunctioned, stranding the ship in rough, frigid waters, in the middle of a storm. The ship was in danger of running aground. Waves crashed through windows, sweeping passengers across the floor. Water came up under their feet. 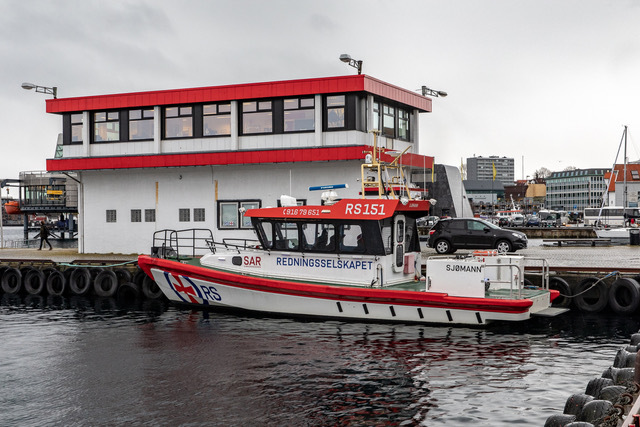 Steve photographed a Search And Rescue (SAR) ship in Stavanger, Norway, possibly one involved with the rescue operation. However, the seas were too rough for them and they turned back to port. Steve says that "We also hit some rough water and skipped one port because of winds and waves. The coast of Norway can be rough at times." 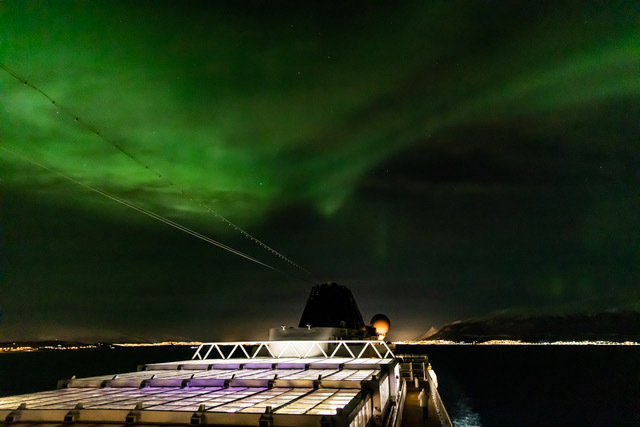 The main draw for the trip is the sight of the Aurora Borealis, which Steve was able to photograph in port at Tromsø, Norway. What a difference a few weeks makes.